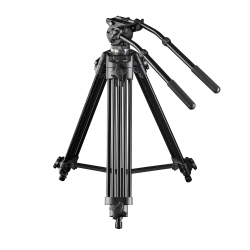 Reasoned functionality: The walimex pro EI-717 Video-Pro Tripod is designed for videographers with professional demands. Smooth movements without jerking are therefore the top features of this sturdy Tripod. Realize soft panorama pannings over 360° and tilting movements from -85° to +90°. The fluid-damped panhead together with the two guide handles always provides a steady, smooth guiding. For perfect positioning, the head is equipped with a spirit level. First-class design: The Video Tripod is made of sturdy aluminium. The double-guided legs provide enough stability. 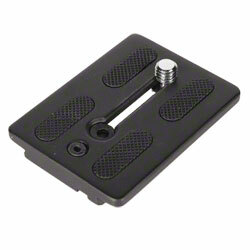 Rubber feets are certainly included as well as reliable quick-release fasteners. 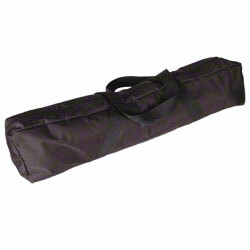 A carrying bag in connection with a transportation safety device cares for a secure storage during your outdoor shootings and travels. Flexible use: The EI-717 offers a big photographic potential. Thanks to the 1/4 inch and 3/8 inch connection on the panhead, you can attach cameras and video cameras with a weight up to 6kg. Therewith, you are perfectly equipped for your future shootings.